Wayland Middle School is very happy to announce that every student will receive a new Chromebook for the 2017-2018 school year. 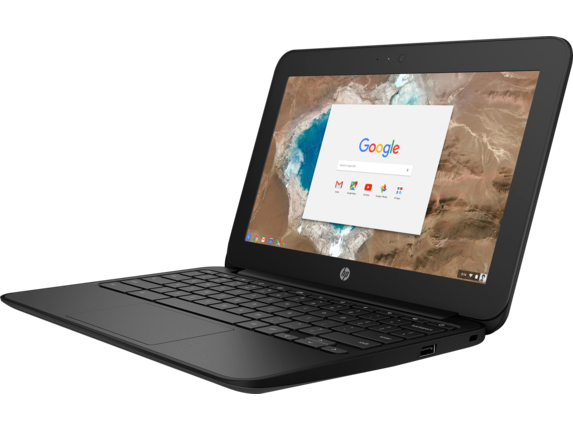 Students will receive an HP G5 Education Edition Chromebook. Sixth grade families will receive the device at the Chromebook Orientation session. Seventh and Eighth grade students will receive their device in homeroom after the start of school. Each family should follow the steps below to complete the registration process before school starts. However, we are providing an opportunity for parents to order a very sturdy, protective case for $20 through the school and ask that you register early to facilitate that ordering process. The deadline for ordering a case is August 11th. DEADLINE HAS PASSED FOR THIS YEAR. PLEASE PROVIDE YOUR OWN ALWAYS-ON CASE. If you don’t order through the school your family must provide a protective case and have it ready on the designated pickup day. Each session is one hour long. The first 30 min. is to complete the registration process. Going through these online steps before you arrive will expedite the process for everyone. The second 30 min. will be spent in the theater learning more about the Chromebook 1:1 program and the expectations for use. You only need to reserve one spot per family, not for each family member. Maintenance Fee– The school is requesting $40 per student for the Chromebook maintenance fee. Although this fee is voluntary, we are strongly encouraging payment to support the Securly home filtering software and to pay for the purchase of parts to repair accidental damage. Neglectful damage will not be covered. Most of the repairs will be completed by in-house staff. More complex issues will be sent to a Somerville, MA repair facility. If a family elects not to pay the fee, they must sign a liability waiver form to cover all accidental or neglectful damage to the Chromebook.We prefer that families use the online payment method before attending the Chromebook Orientation session. However, we do accept checks made out to Wayland Public Schools. Sorry, we do not accept cash.If your family requires financial assistance with the fee, please fill out an application with the District’s Business Office and bring the paperwork with you to the orientation session. Care & Use Agreement Form – Please read the entire Agreement form and go over the information with your child. The school requires a parent/guardian signature on the last page. Please bring it with you to the orientation session. We will also have copies on hand for you to sign if you have difficulty printing. Case Options – Every student must supply a case for the Chromebook and bring it with them to the Orientation Session. Order one through the school by August 11th to take advantage of bulk pricing – $20 for an always-on case with many protective features. You can pay for this at the same time as paying for the maintenance fee. DEADLINE HAS PASSED FOR THIS YEAR. PLEASE PROVIDE YOUR OWN ALWAYS-ON CASE. We respectfully ask that you not use a simple neoprene case as they do not provide enough padding. Links to other case vendors are provided here. School-only vs Take-Home – A vast majority of students will take home the Chromebook each day. However, if students have adequate access to a device at home, some families may elect to have their child’s Chromebook locked in a cart at the end of each day. It is the child’s responsibility to return the Chromebook to the cart (by 3:30) and plugin the device so it’s ready for the next school day. Fill out this form only if you want your child to keep the Chromebook at school. Family Contract – A family agreement helps to establish rules and guidelines on internet and device use. It is a great way to start a conversation about internet safety, and to decide on and communicate expectations from the start so there are no misunderstandings. We provide this contract for your family to use together and there is no need to return it to the school. Care & Use Agreement Form – Please read the entire Agreement form and go over the information with your child. The school requires a parent/guardian signature on the last page. Please have your child bring it to school when their teacher announces the deployment date. Case Options – Every student must supply a case for the Chromebook. If your child’s case is still in good working condition, they may use the same one as last year. However, if the zipper is broken or the case is ripped we are providing an option to order one through the school, by August 11th, to take advantage of bulk pricing – $20 for an always-on case with many protective features. You can pay for this at the same time as paying for the maintenance fee.DEADLINE HAS PASSED FOR THIS YEAR. PLEASE PROVIDE YOUR OWN ALWAYS-ON CASE– links to other case vendors. Students will need to bring a case with them to school in order to receive their Chromebook. School-only vs Take-home – If you would like your child to keep their Chromebook at school please fill out this form. Please do so even if your child has kept it at school in the past. We will assign each student a slot in a lockable cart and the charger will be installed for them. The students are responsible for plugging in their Chromebook at the end of each school day before 3:30. Family Contract – A family agreement helps to establish rules and guidelines on Internet and device use. It is a great way to start a conversation and decide on expectations from the start so there are no misunderstandings. It is never too late to have the conversation! We provide this contract for your family to use together and there is no need to return it to the school.